BBC News reported on Friday that it had seen a leaked internal Home Office document which says the number of asylum seekers waiting for their claims to be processed in the UK is unacceptably high. 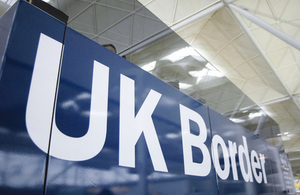 According to BBC News, the document said there is now a backlog of asylum claims waiting to be processed which is "unacceptably high" and the delays could cause "reputational damage to the Home Office". The document reportedly sets out a plan for tackling the backlog at three immigration centres in Kent, Bedfordshire and Croydon, though BBC News gave no further details. The document also said that asylum applications in the UK in the last three months of 2018 were at their highest level since October 2015 and were 20% higher than the Home Office had expected. In the preceding 18 months, asylum applications remained broadly stable. When asked to comment, the Home Office told the BBC that it did not comment on leaked documents. Meanwhile, BuzzFeed News reported on Friday that the Home Office is set to face a legal challenge over long delays in making asylum decisions for unaccompanied children. BuzzFeed News says Freedom of Information requests revealed that as of August 2018, over 1,600 unaccompanied children had been waiting more than a year for a decision on their asylum claim. Unaccompanied children under 14 waited an average of 627 days for a decision on their asylum case. A test case is being brought by an asylum seeker known as MK who came to the UK in 2016 during the demolition of the 'jungle' refugee and migrant camp in the French port of Calais. According to BuzzFeed News, the Home Office conceded that the delay in his case was unlawful. BuzzFeed News says that the judicial review was granted despite the Home Office conceding and expediting MK's decision because lawyers pre-argued in their submission that the case should be allowed to continue because it was indicative of a systemic problem. Daniel Carey, a solicitor at Deighton Pierce Glynn who is bringing the case, told BuzzFeed News: "It is really significant that the Home Office has now accepted that the long delays our client experienced were unlawful. But there are thousands more children affected by such delays and their cases have still not been resolved. "Having seen many of these cases now, it is clear that the prolonged uncertainty can have a really debilitating effect on what are already very vulnerable young people at a formative time of life. It is promising that the Court will now look at the systemic causes of all this at a further hearing." In response, a Home Office spokesperson told BuzzFeed News: "We do not routinely comment on ongoing legal proceedings."